This is a single I was anticipating this year. 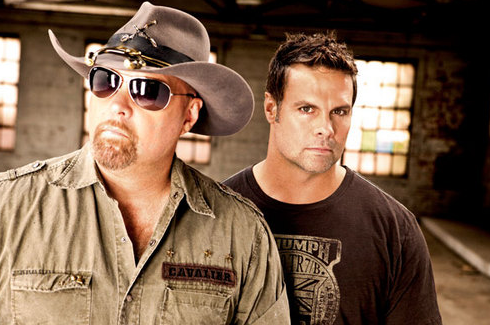 Montgomery Gentry parted ways with their record label in 2010. That is a big deal. For most acts that is the end of a career. Not many artists, even the talented ones, can continue success after making a change like that. And Montgomery Gentry had even more going against them by joining an independent label (although not so small these days) when they teamed with Colt Ford’s Average Joe’s Entertainment. The boys of MG found success, though, last year with their huge hit single Where I Come From. The song reached the top ten on the charts and has been one of the biggest hits of MG’s decade plus career. Now it’s time for the important follow up single. It was important for the guys to continue with the hits to prove they weren’t just a one hit wonder on the new label. I think they are planning to release the perfect song. Rebels On The Run was released just last year. The lead single has been huge. Montgomery Gentry teamed with producer Michael Knox to bring a little raw rock edge to their music. This has always been their style, but they seem to have been looking for something even edgier and I’d say they found it. You might recognize a similar sound from Jason Aldean’s last record because Michael Knox was also the producer on My Kinda Party. So Called Life seems to be a good choice for the second single. In my opinion, the guys didn’t need to change anything about their sound. I think this song further establishes their new direction. They are in your face and ready to rock your face off when you’re listening to your country radio. So Called Life is a declaration of how these boys are living. There are a few cliches in the lyrics, but this song is more about the general message and the rocking edge. The song is about accepting life for what it is. Things don’t always work out as we planned. We have good days and bad days, but the important thing is to just keep on moving and keep on enjoying the good moments. I think that’s a good perspective on life. As for how this song will do on the radio? I’m thinking it’s easily another top ten hit for Montgomery Gentry. Their longtime fans will love it, but I also think the general country audience will love hearing this on the radio as well. It’s something we can all relate to and enjoy. It’s a great song.